logiVIEW-SVK Four-Camera Surround View DA System Development Platform and Toolset Xylon d.o.o. logiCRAFT-CC-Premier FPGA Companion Chip Kit with Intel(R) Atom(TM) PC Xylon d.o.o. 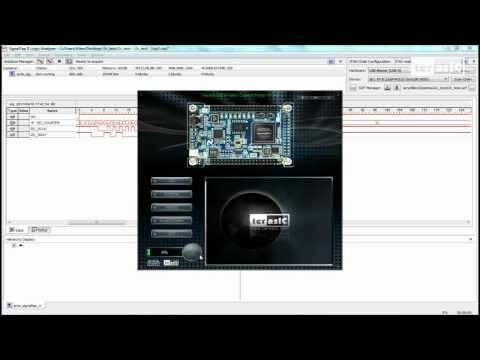 logiCRAFT-CC-Premier FPGA Companion Chip Kit with BeagleBoard-xM Platform Xylon d.o.o. logiCRAFT-CC-Base FPGA Companion Chip Kit Xylon d.o.o. logiTAP Platform for Embedded GUI System Developments Xylon d.o.o. logiHAC Automotive Hybrid Cluster Development Platform Xylon d.o.o. logiCRAFT6 Multimedia Evaluation/Development Platform Xylon d.o.o. MEX-100-V5 System-On-Chip (SOC) Technologies Inc.
iW-SDIO Slave Demo Board iWave Systems Technologies Pvt.Ltd.